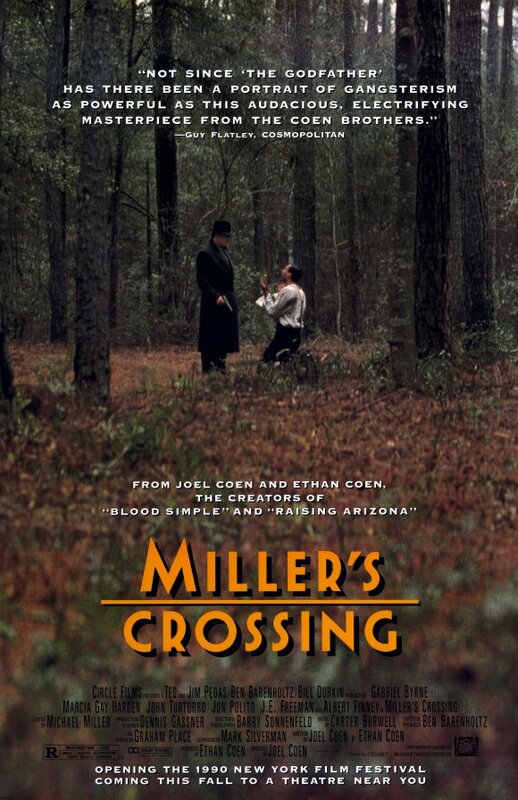 My own personal favourite of all the Coen brother's movies, Miller's Crossing encapsulates all of their strengths and (perceived) weaknesses in one wonderful film. An early 20th century mob movie as seen through the Coen's idiosyncratic filters, the film is meticulously designed down to every seemingly insignificant detail. 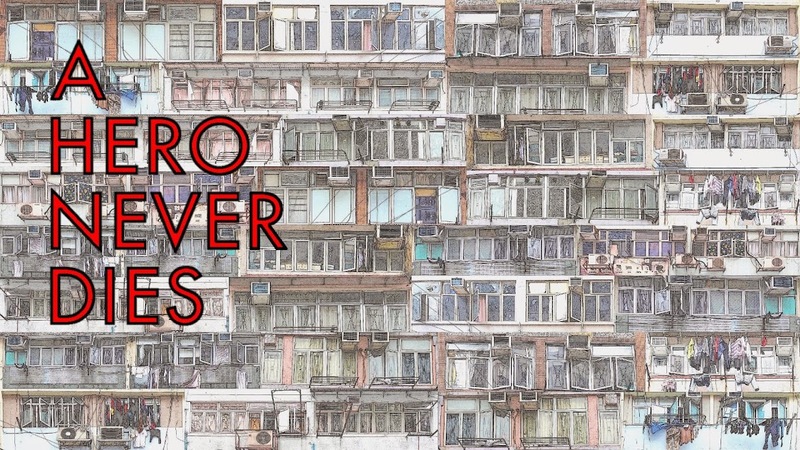 All of the minutiae come together to create one of the richest and most densely packed film worlds imaginable. The sets, costumes, props, characters and especially the dialogue and performances are stylised and refined to the point where we know we are no longer in the real world but in an alternate movie verse. This is where the strengths and weaknesses I mentioned come into play. For critics of the the film, it's a cold, meaningless and empty exercise due to the extremity of the stylisation. I disagree completely, the artifice conjured by the filmmakers gives the film a level of excitement and vitality that wouldn't have been possible by making it "realistic". 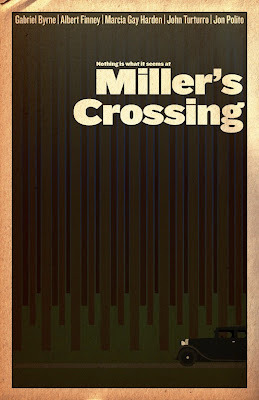 Miller's Crossing has a unique feel amongst the hundreds of other mob films out there, something that is an achievement in itself in this most popular of genres. 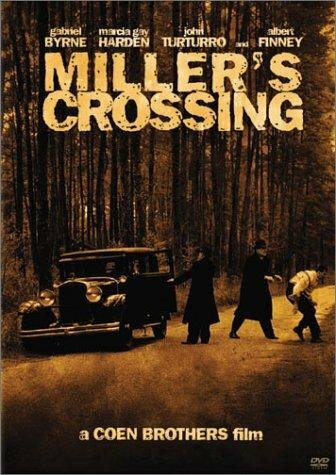 Miller's Crossing has also been criticised for having a too complex plot, this is completely untrue, you may have to pay attention and follow it quite closely but since when has that been a crime? Once the film begins to unfold, it's actually deceptively simple yet intelligent at the same time, another masterstroke. During the writing of this film the Coen's developed writers block and knocked out the script of Barton Fink as a way of getting back into the swing of writing, before going back to complete this script. Albert Finney is great as mob boss Leo, and in a film full of great set pieces he has one of the best. Set to the strains of Danny Boy, Leo's Tommy gun attack on a group of assassins who come to his house to kill him is already a classic scene in cinema. The real stars of the show are Gabriel Byrne and Jon Polito. Byrne has never been better in what will probably end up as the role of his career, his Tom Reagan is a fantastic creation. A stubborn, sarcastic and self loathing cynic of a man, all brain and no heart. Reagan knows there is no room for sentiment in his world, sentiment will get you killed, it's playing the angles that will keep you alive and this is his great skill. Byrne's portrayal is ironically filled with heart, he manages to show just a glimmer of the emotions he doesn't know what to do with, lurking under the smart exterior he presents. Easily one of the best performances of the 90's in my opinion. Polito's rival mob boss Johnny Caspar is completely different but almost as great in his own way. Caspar is another classic Coen character or should I say another classic Coen grotesque, virtually a Looney Tunes cartoon character come to life. A profusely sweating pressure cooker of a man, as the pressure mounts the facade of the ethical man he claims to be begins to fall apart. A menacing and hilarious piece of acting. "Always remember to put one in the brain". As is usually the case with the Coen's, the supporting roles are filled with some excellent actors and performances who all add to the richness and density of the film. Marcia Gay Harden, John Turturro (probably the most famous scene in the film "Look into your heart") and J.E Freeman as Caspar's henchmen Eddie the Dane being the standouts. 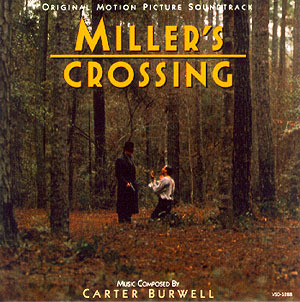 The score by regular Coen composer Carter Burwell is wonderful and adds immeasurably to the film, whenever I hear the main theme it just transports me to Miller's Crossing, it's faultless. 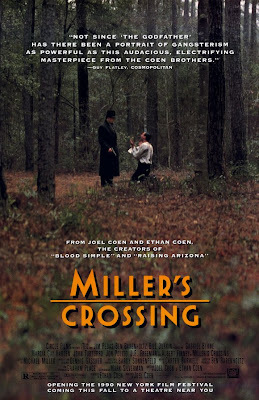 Having praised all these elements, perhaps the greatest strength of the film is the photography by Barry Sonnenfeld, who quite accurately described Miller's Crossing as "A handsome movie about men in hats". Lyrical, silky smooth camera movements and exceptional use of the dark and shadows make this a truly gorgeous film, and if ever a film should benefit from a blu ray upgrade this is it (Coming later this month!). This is an all time favourite movie of mine, it's about as close to faultless as movies get, there isn't a single thing I would change in the whole film. Seemingly lost at the time of release due to clashing with Scorsese's Goodfellas, it sank pretty much without trace at the box office. Miller's Crossing is ripe for rediscovery, an intelligent, funny, visually stunning and exceptionally well acted masterpiece of a mob film, if you disagree you can "take your flunky and dangle". Excellent write-up for a classic. The whole cast was amazing. I can see how people say this one is a bit empty, but I do really like this one. Coen Brothers I think wipe the floor with other directors that people claim are mostly good for their atmosphere (Lucio Fulci for example). 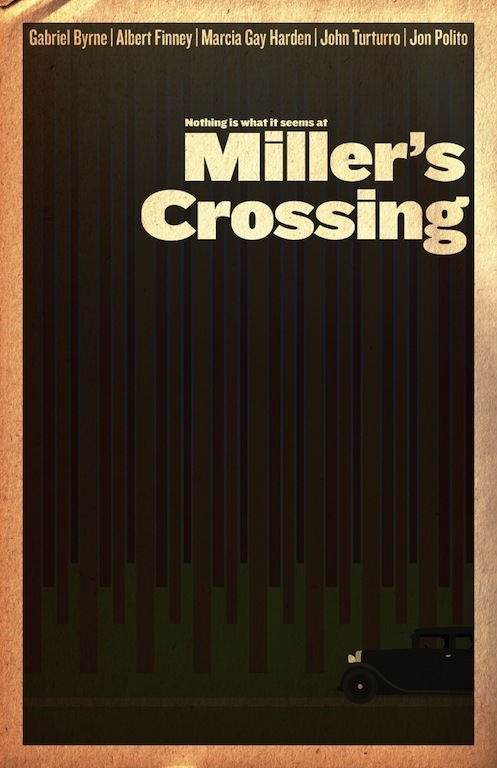 There's a good review of the film on Siskel and Ebert on this site: (http://siskelandebert.org/video/6N355R6KUSON/Texasville--Miller8217s-Crossing--NC--17-1990) (review starts around 6:30). Siskel loves it, Ebert hates it. Joyful bickering ensues! Yeah good job, this is one of my favorites as well. Always put one in the brain. Ty, Thanks, it's a real classic. Onemorebullet, I don't think it's empty, I feel that to dismiss it as being so is to only see the surface of the film. BT, Thanks, and that is a really great moment! Aaron, Thanks, that's awesome of you to think of me! The cast was awesome and it's obvious The Coens know how to direct them too, but the story for me just didn't bring me in as much as I was expecting but still a very good "old gangster" flick. Good Review!